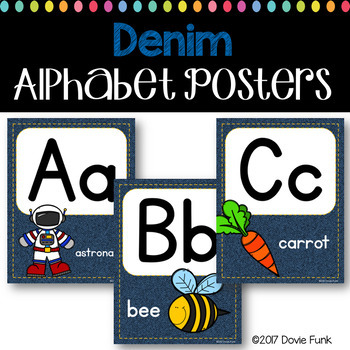 Alphabet Posters with a denim background. 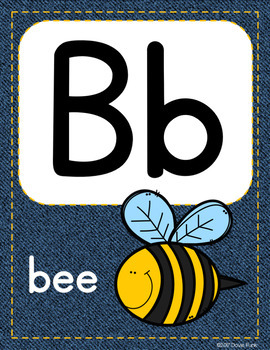 Just print, laminate and display. 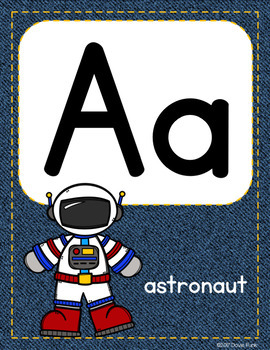 I also have denim number posters and a calendar set available. 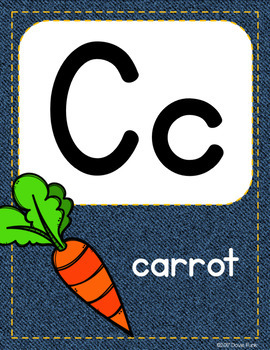 Check out my TpT store for more ABC posters, math and literacy resources!